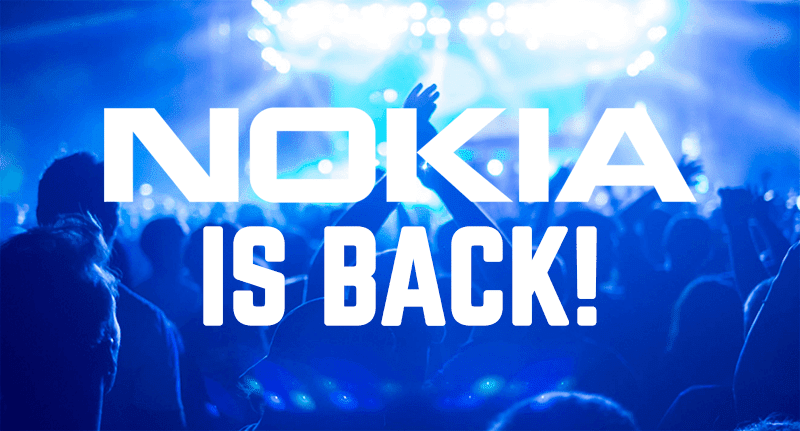 Nokia is back! Will create Android powered phones and tablets! Home / news mobile / nokia / Nokia is back! Will create Android powered phones and tablets! The return of the king? Since Microsoft already sold the feature phone division of Nokia, the former leader in the mobile phone industry just announced their much awaited intention return to the worldwide market. This time and finally, they're going to make Android powered smartphones and tablets that we always wanted to see. Related: Moto Razr Is Coming Back Too, Will Be Android Powered Clam-shell Phones? Nokia stated that they conducted surveys and their brand still belongs to the top five considered brands for purchase by smartphone buyers even if they're not available yet. With the amount of fans who wanted to get Nokia handsets, a major comeback makes a lot of sense. Under a new agreement, Nokia Technologies has granted HMD, a new company led by some of the world’s top mobile specialists, an exclusive global license to create a full range of Nokia-branded smartphones, tablets, and feature phones for the next decade according to their press release. However, the path won't be that easy and as they admitted that there's still so much work to do so we may need to wait a bit more longer to see the fruition of their works. One thing is for sure, Nokia will ensure that their quality, design and innovation is top notch as usual. Are you guys excited now to see what they have for us?